Right now you have information and ideas that can help people. Many of those people would be happy to pay for what you know if they knew you knew it, and if you gave them a way to buy the information you have in a format that they want. Said simply.. you have at least one course in you. That one course can transform the lives of others and as you help them, you can transform your life too. Never before has it been easier to record audio and video, and to publish text audio and video to the web. The costs are lower, however people are still confused by the complications and options. 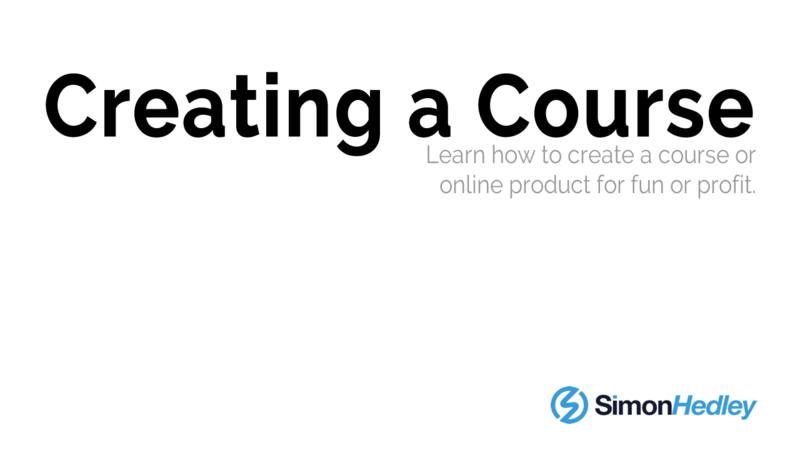 This course is designed to help you create a course. A course that you can share for free or for a fee or only with your VIPs. Well we've helped create hundreds of courses and our friends and partners have shared their courses with millions of people (yes literally millions of people). Give it a shot.. and lets get you started today. Have you ever wanted to create a course? Then this is the course to help you do just that.